When compared to a similar point in time, Millennials are deeper in debt than any other generation that has come before them. And the biggest reason why they are in so much debt may surprise you. This entry was posted in Amerca and tagged Debt, Millennial on March 13, 2019 by Bone Fish. There is a serious economic crisis brewing that few seem to be paying attention. According to a new survey from Zillow Group Inc. (ZG – Get Report), approximately 22.5% of millennials ages 24 through 36 are living at home with their moms or both parents, up nine percentage points since 2005 which was 13.5% and the most in any year in the last decade. 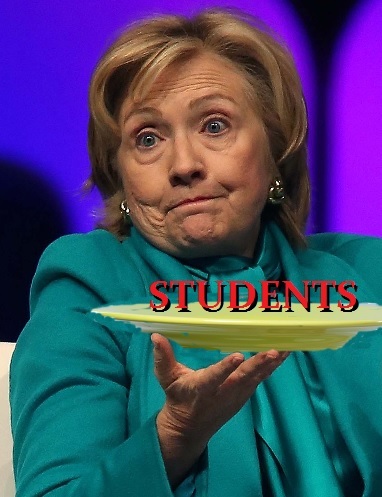 Between the student loans which cannot be discharged thanks to the Clintons (to get the support of bankers) even after they find that degrees are worthless when 60% of graduates cannot find employment with such a degree and the fact that taxes have escalated to nearly doubling over the last 20 years that is predominantly state and local, the affordability of buying a home has been fading fast. Despite the fact that millennials are eager to enter the real estate market, they’re bearing the brunt of the challenge directly caused by the combination of taxes and non-dischargeable student loans. Now 63% of millennials under the age of 29 cannot even afford the cost of home ownership, according to a CoreLogic and RTi Research study. The expense, in fact, is their number one reason for remaining a renter. In their research, they concluded that one-third of millennial renters reported feeling they cannot afford a down payment to buy a home. This is a sad response that is not being taken into consideration by governments. Where home prices have not risen sharply, taxes have. First-time home buyers face ever-growing challenges to find and buy affordable entry-level homes as the economics of inefficient governments at the state and local levels have refused to reform and raise taxes to meet pension costs they promised themselves. Politicians from London to Vancouver have increased taxes to try to bring home prices down rather than looking at the problem objectively. All they are accomplishing is punishing people who have owned homes and destroying their future when home values were their retirement savings. California and Illinois are just two major examples at the top of the list of grossly mismanaged state governments. It is this net affordability factor that has begun to encumber sales of real estate, softening prices and turning many millennials into renters rather than home buyers. Then add the rise of interest rates and we have an economic cocktail of taxes that is beginning to kill the real estate market in a slow death drip by drip. Depressions take place when the debt and real estate markets collapse – not equities and commodities. The amount of money invested in debt markets dwarfs equities, It is ALWAYS the debt market that you undermine when you want to destroy an economy. Taxes and the rise in interest rates will further erode affordability and is beginning to slow existing-home sales in many markets already. As this trend continues, home prices and mortgage rates over the next couple of years will likely dampen sales and home price growth. There was another study conducted by Freddie Mac which also found that affordability challenges are contributing to a downtrend in young adult home ownership. Long-term, real estate prices will decline as taxes and interest rates rise. The next crop of buyers is being culled and as that unfolds, real estate cannot rise when banks also begin to curtail the availability of mortgages. This entry was posted in Economy, Housing and tagged affordable housing, Millennial, student loan debt on September 25, 2018 by Bone Fish. Failing to save for retirement tends to be the biggest financial regret among Americans but millennials still want it all, they want it quickly, and without much sacrifice, data from a recent Bankrate.com study suggests. Perhaps unsurprising given the older generation’s general stereotyping of millennials as having less ambition and work ethic combined with an immediate gratification self-pitying me-first perspective on life, the survey finds that Americans ranging in age between 18 to 37 say that while they don’t have much savings, they still want to retire early. Well perhaps there’s ambition of a sorts, but ambition without the work and preparation. Of those millennials already saving, the median retirement account balance is about $19,100. But overall, roughly two-thirds of millennials have nothing saved so far — concludes a National Institute on Retirement Security report (NIRS). This is especially surprising given that as we’ve discussed time and time again, America’s millennial generation is burdened by debt, effectively precluded from home ownership and increasingly disgruntled and pessimistic about their future prospects for wealth and happiness. But perhaps they are also a bit delusional or at least less than realistic at times, especially on the topic of personal finances and the future. Add to this that it’s no secret that people are living longer and many are staying in the workforce long past the traditional retirement age of 65, but it appears there’s a vast disconnect between millennials’ goals and their preparations to reach those goals. Among the data used by Bankrate is from the National Institute on Retirement Security (NIRS), which recently found that about 66 percent of people between the ages of 21 and 32 have yet to save a single dollar toward their retirement fund, based analyzing Census data collected in 2014. 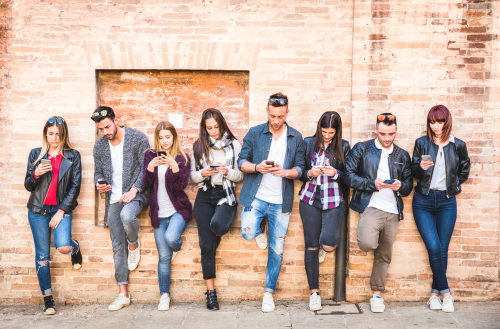 Researchers for NIRS cite the “harsh economic landscape” millennials encountered when they first entered the workforce, especially the years between 2008 and 2012. This entry was posted in Economy and tagged Millennial, Saving, Saving For Retirement on July 28, 2018 by Bone Fish.